If you aren’t too afraid of snakes, you might want to charm some of them into letting you win some quick cash payouts through The Snake Charmer Slot. 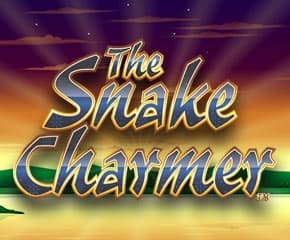 Join forces with the Indian snake charmer and you try to lure some fortunes your way as you play the game. The Snake Charmer Slot by NextGen gaming will let you enjoy a fun gaming adventure that has a lot of features and cash in it to offer you. The game is one of NextGen’s finest, making it great to play both on mobile and on the desktop. 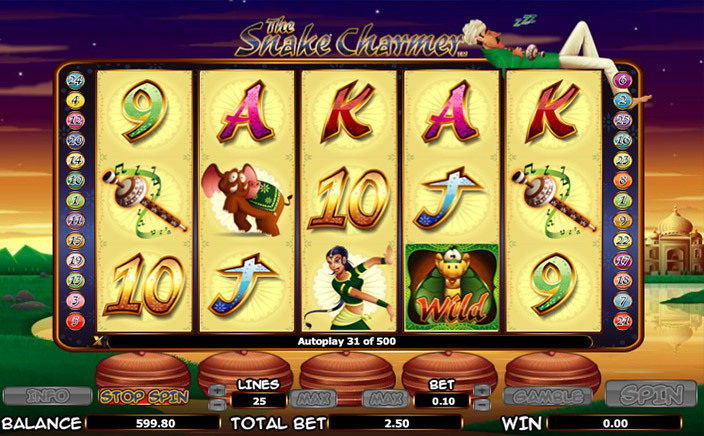 The Snake Charmer Slot has 5 reels and 25 paylines and is themed along an Indian snake charmer who is busy playing his pipe to see if any snakes in the vicinity can be tricked into sharing some of the fortune that they are secreting, with you. The backdrop is that of an Indian scenery so that you feel a sense of calm as you play. Place your wager and then you can start to spin the reels to see what symbols you land up with. There is plenty of colour and good cheer in the game to make you feel entertained as you watch it. · Wild substitutions: The wild symbol in The Snake Charmer Slot is the snake and you can take the snake’s help to complete your paylines and get some cool winnings. · Free spins: The snake charmer is your scatter symbol and when you manage to get three to five of these symbols on the reels, you will jerk the snake charmer awake. Once he’s awake, he can get down to the serious business of charming snakes and make the snake dance to his tunes. You can start off with ten free spins during which you have the snake slithering on to the reels to give you some expanding wilds. It is a great way to win some more cash this way. The Snake Charmer Slot has a charming Indian background and music effects and the bonus features in the game are limited to just the free spins round. The jackpot may not seem like much at 5000 coins, but it can give you some good cash payouts as you play with the other game features like the expanding wilds. Try this game the next time you are in the mood for some Indian themed adventure where you can charm the snakes into giving you some payouts as you play.